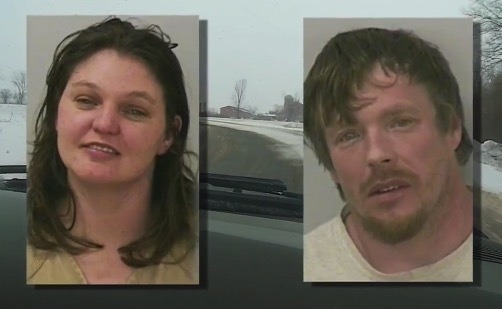 A drunken Wisconsin couple has been charged with a number of felony charges, including child neglect and second degree recklessly endangering safety, after they had their nine-year-old daughter drive them home in their pickup truck. Police were alerted to the situation after other drivers called 911 with reports of a truck swerving along a rural road. When Deputies arrived they found the truck at a boat launch still in drive and rolling backwards toward the ice with both adults and the two children inside. “At which time the deputy was able to jump in the vehicle and place it in park and secure the vehicle,”Cpt. 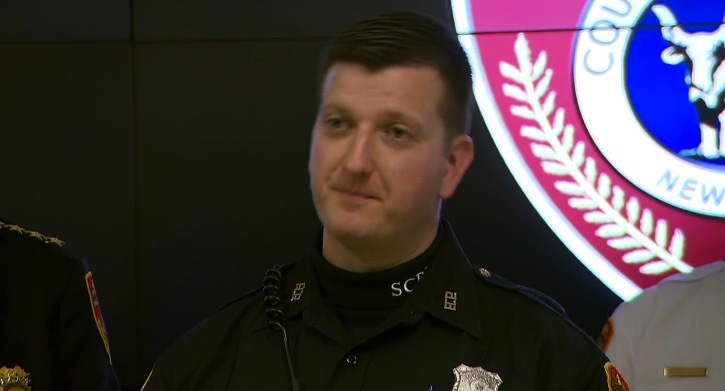 Stephen Smith, a spokesperson for the sheriff’s department told WCCO News. When they were taken into custody, deputies say that the children’s mother continued to swear, as well as swing and kick at them. During questioning, the couple, who were identified as Jason Roth and Amanda Eggert, they said the young girl was ‘practicing her driving’. “[Children] used to in the 1950s,” the 32-year-old mother reportedly told police. At .20 and .25, Eggert and Roth were each well over twice the legal limit for alcohol consumption, but they will not face DWI charges. The 9-year-old girl and an 11-month-old baby sibling that was also in the car have been placed in the care of other family members.